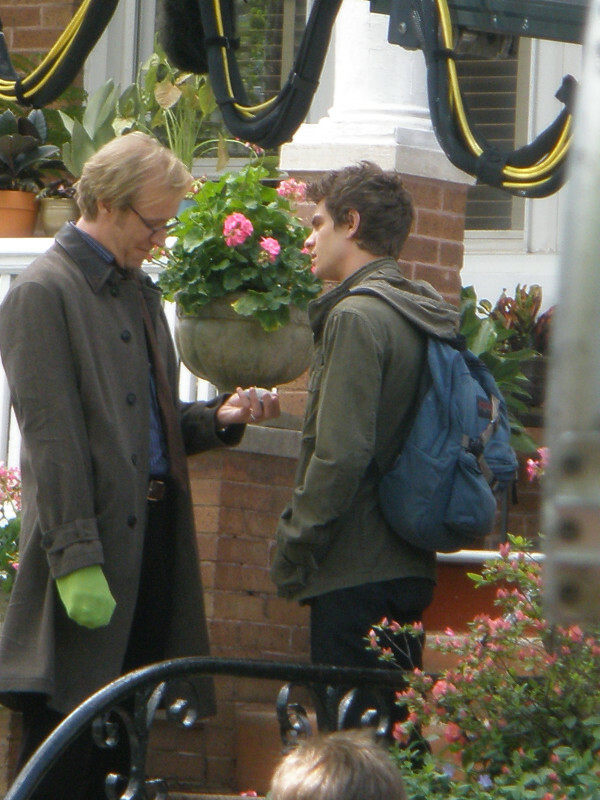 Here is a cool set pic giving us our first look at Rhys Ifans who plays Dr. Curt Connors aka The Lizard. You can see his right hand covered with a green glove which will most likely have some CGI added on to it showing him as The Lizard in some way. Coming Soon has a few other not so revealing pics as well.